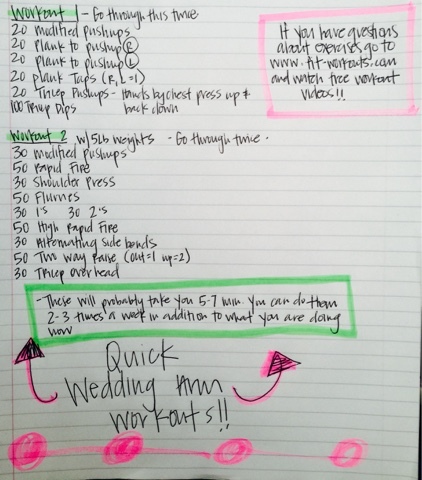 -Haley Young- Fit-Workouts- : 2 Quick "Wedding Arm" Workouts! Are you getting married or have a special event you want to tone your arms up for?! Here are two quick workouts you can add to your workout routine that will help create long lean definition!